This was the second biography in as many weeks I read and I wasn't really looking forward to it. The other one was on Neil Diamond and I wrongly assumed this would be equally "slow and uninformative". Not! Author Charles R. Cross interviewed many, many people about Jimi Hendrix, and as a result, has put together well-strung-together-facts, making for an interesting read. He deftly covers Hendrix's parents' history, Jimi's young life, with stories about his father's stint in the war, his mother sending her young sons to stay with a "church friend" of hers in Berkley, California, and her coping with having a family at such a young age. Her son, John Allen Hendrix, was born on November 27, 1942 in Seattle. When he was three or four, and his father had returned from the South Pacific, his dad legally changed his name to James Marshall Hendrix. However, his family called him Buster. On many counts, young Jimi's childhood had not been easy - he and his brother Leon remained close as his family disintegrated - there were six children in all. Lucille, Jimi's mother, died when he was a teenager and he and his father and brother Leon tried to be a family. Jimi Hendrix discovered the guitar and though he was failing at school, he was slowly progressing as a musician. He followed the R&B and Blues bands of the time and in his early 20s, found himself in New York via Nashville - he then headed off to London where he became a star. This is the story of some of the people Jimi met, up-and-coming-musicians on both sides of the Atlantic, and how he became involved in drugs and the legions of women. Hendrix endured racism as just one of the obstacles in his path - stability and hunger were two others. 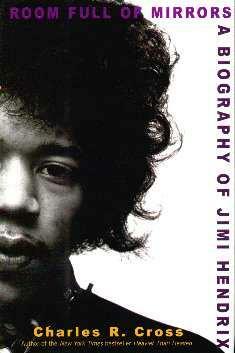 Cross has done a great job in telling the amazing story of an amazing guitarist - the legend that was Jimi Hendrix. Conclusion - Very interesting and worthwhile.